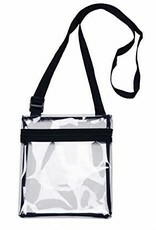 mall Clear Cross-Body Bag Made of Clear PVC. Messenger/Traveler Style. 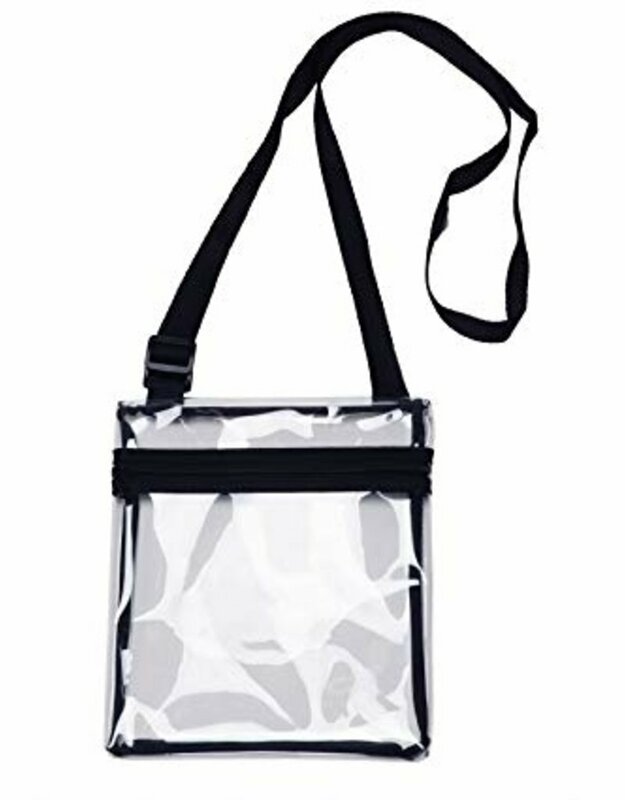 Can be used as a shoulder purse or crossbody purse! Shoulder strap adjusts from from 26" to a super long 50"! Compartment Open and Closed by Zipper. Stadium Compliant - Great for NFL Football Games, College Football Games, Concerts, NASCAR, Casinos, and more!